.. ... So, wouldn't it be marvelous to have access to live streaming poetry, any time of day, any day of the week? Because I think poets would enjoy such an opportunity, I created this page. While I don't know how many weekly, live-streaming, open mic poetry venues there are, I hope that together we can explore, discover them, and develop this directory so it will be easy for anyone to hear live poetry - any time they wish! .. ... (1) First, check what the current Universal Time is, see below, left, or one of the links, below, right, to convert another time of your choice. Here is a back up: World Time Server. .... World Time Buddy Converts multiple locations. .... Timebie has some useful resource links. .. ... (2) Second, use this table to see if there are venues active during the hour of the week you have chosen. If a cell has a link, there is at least one streaming venue which begins during that hour. Colored cells, without links, indicate streaming - perhaps from one or more sources. .. ... (3) Next, select the link and you'll find the venues which start during that hour the links needed to a connect to their streaming source(s). .....If you want to add a venue to the listing please email me the following information formatted in three lines. ............... ............... Line 1: Venue's Name - City - Nation - Language(s) - and its local start time and day. ............... ............... Line 3: Links for streaming, web pages, blogs and contact information: email, social media, or phone numbers for examples. .....Here is detailed information about Universal or Greenwich Mean Time from Wikipedia. M. Tu. W. Th. F. Sa. Su. - with Jack Foley - conversations with poets/authors. - with Dan Brady - The longest running open mic, over 45 years! 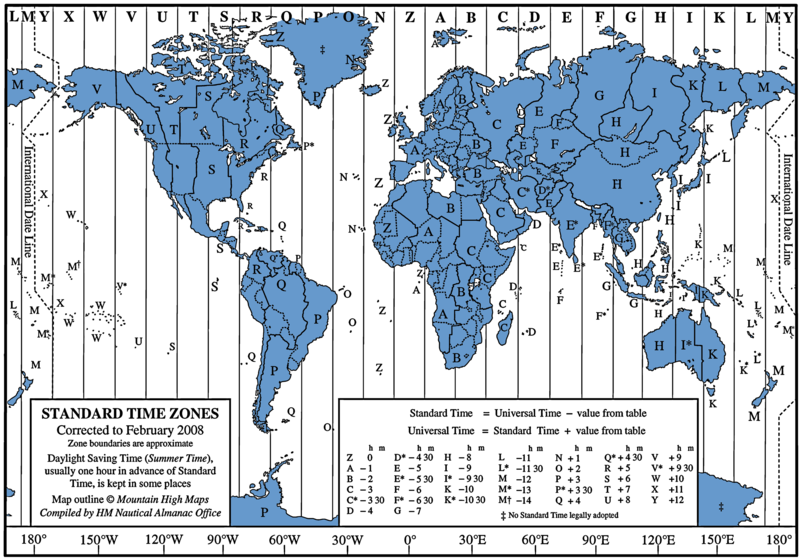 This is another way to find out which time zone(s) you might be dealing with. 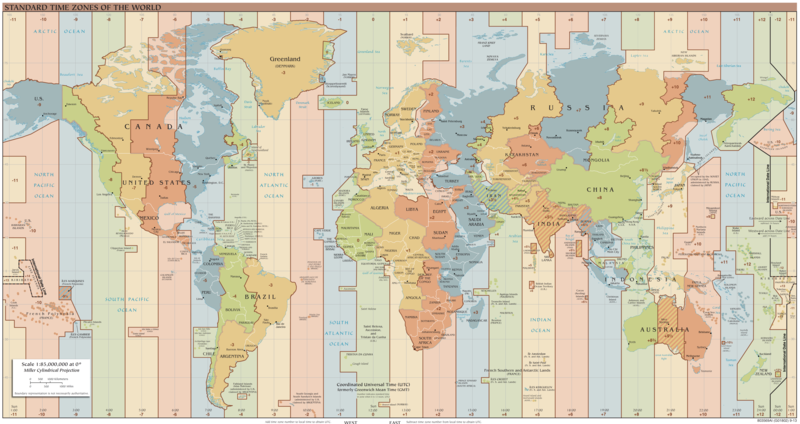 ... To determine your UT "the hard way" use the map below, find your time zone and make note of its letter-name. 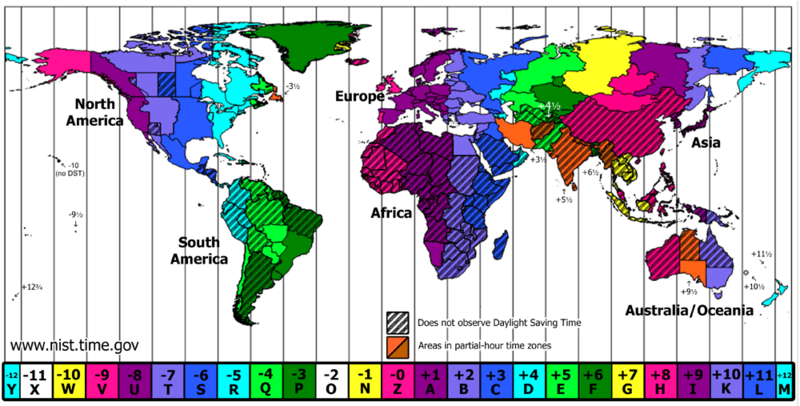 Then, using the small table at the bottom right of the map, find the positive or negative value for your time zone. You can then convert your local time to UT/GMT by adding the value of a positive number or subtracting the value of a negative number to your local time. ... Here is an example, if I were in Moscow, at 12 noon local time, I would see that Moscow is in zone "C" and, since that letter has a value of -3, Moscow at 12 noon, would be 9 am, UT.